Welcome! I’m a children’s writer. 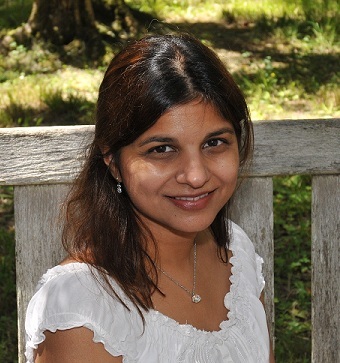 On my blog you can find picture book reviews, author interviews, the latest in South Asian kidlit, and more. A very belated Happy New Year! I’ve been away too long from the blog and all of you. Lots going on. My debut picture book was announced last fall. You can find out about it here. I am doubly-excited to share today’s book. First, I absolutely adored their first collaboration, BEAUTIFUL. The colors, the energy and most importantly how they re-defined beauty. You can check out my review of it here. The second reason is Ms. Lew-Vriethoff is the illustrator for my book! I can’t wait to see what she creates for it. 🙂 Now onto the review! Love is … a fancy dinner. What is love? Can you only express it in fancy meals, greeting cards, and heart-shaped chocolates? 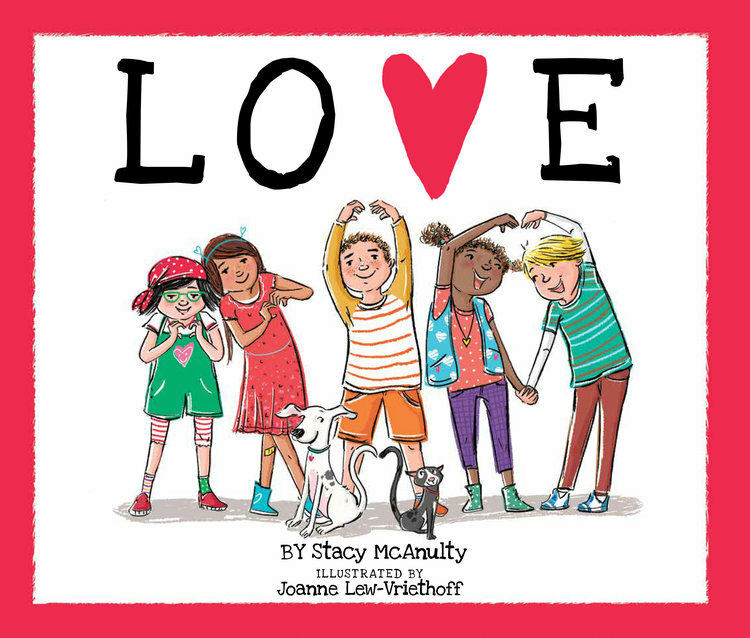 Kids will find love everywhere in this delightful book. It can be found in everyday moments such as baking cookies with grandma, notes from Mom in your lunchbox, or a family singing together on a car trip, and it isn’t always what you expect! If you like the themes of this book, then go check-out THIS IS NOT A VALENTINE by Carter Higgins. Make your own valentine and worksheet to go with the book. Do a Random Act of Kindness. Here is my blog post which has loads of ideas from when I did 40 Random Acts of Kindness in 40 Days. The wonderful duo has done it again. LOVE is the third book in a series that take smarter and thoughtful interpretations of age-old sayings. The first two books were BEAUTIFUL and BRAVE, do check them out. LOVE re-interprets the traditional ways of showing love to someone you care such as giving a fancy dinner or a designer card. A fancy dinner is preparing a doggie bowl with a flower in it for your injured dog. A designer greeting card is a child drawing a hand-drawn card with a crayon. It also reinterprets ideas such as ‘love at first sight’. You’ll have to read to find out. It’s charming. This book can be used as a springboard for discussions about how one can show empathy and love in simple ways. It’s perfect for kids. The book shows how kids can do an act of kindness for someone without having to buy something, which is important in our consumer-driven world. The art is vibrant and engaging and full of details. The large type and big illustrations make it perfect for a group read-aloud. This review is part of Susanna Leonard Hill’s Perfect Picture Book series. Visit her site to see the other books recommended. Disclosure: I received my copy of this book from the publisher. This review nevertheless reflects my own and honest opinion about the book. Baking cookies reminds me of how much we associate LOVE with things we do together. It builds bonds while we’re sharing the making and the eating. I love that. AND I love Stacy’s humor, too. So good to see this book featured twice this week! There’s a lot of love for LOVE on PPBF today! I love your list of random acts of kindness. Thanks for sharing it so we can be inspired to action. Such an uplifting and thoughtful book about what LOVE really means. Look forward to reading this one. A perfect choice & I love all of your activity suggestions!